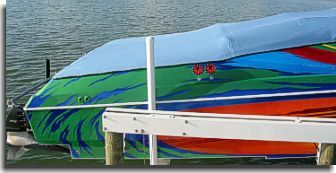 The customer had special request with the cover for the preservation of the F-16 canopies on this tunnel boat. 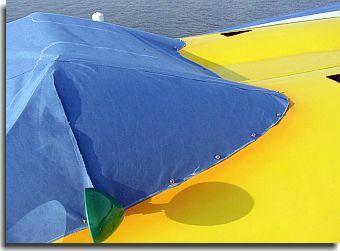 A lining had to be sewn into the cover where the canopies would rub the cover. 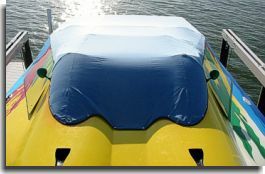 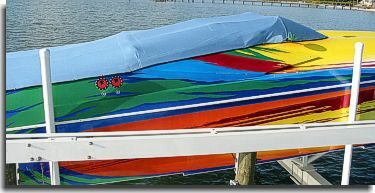 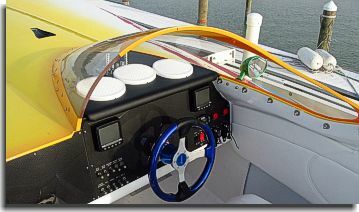 The boat was kept on the water and salt spray was the problem. 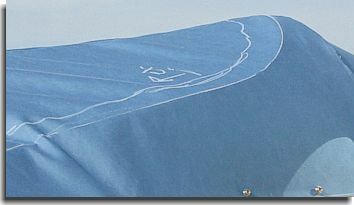 A lining that had a fuzz type backing was requested. 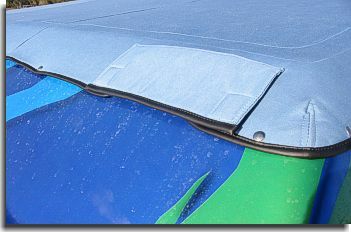 The idea is that when the salt spray dried and crystallized, the crystals would go up into the fuzz backing and not rub on the plexi-glass canopies. 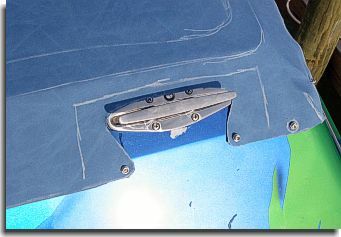 A vinyl was used for the lining that had a fuzz backing. 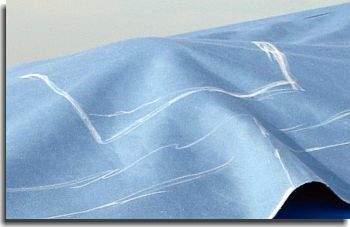 Also of note is the photo below with the work in progress: The chalk line farthest in is the layout for the same lining as used for the canopies. 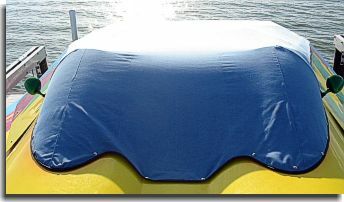 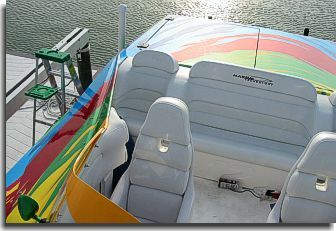 The customer requested the lining to be used to also protect the new paint job. 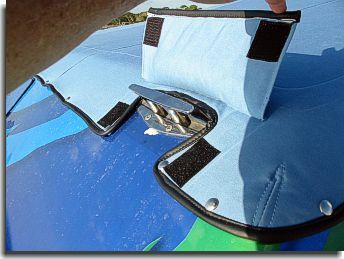 There was also 1/4" foam sewn into the cover from the farthest line in to the edge of the cover to "load up" the cover when snapped on to alleviate as less movement as possible in windy conditions.